ECOM Commodities is a subsidiary of Ecom AgroIndustrial Corporation, a vertically integrated global agribusiness founded in Spain during the mid 1800's. Today Ecom Agro generates annual revenues in excess of US$2 billion per annum from its cotton, coffee and cocoa operations. ECOM Commodities - founded in 1999, provides an integral link in the global chain of operations of the Ecom Cotton Group. The Ecom Group trades in excess of 2 million bales of raw cotton per annum, ranking it as one of the world's most successful cotton marketers - placed within the top 5, privately owned cotton merchants worldwide. 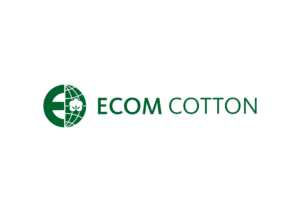 ECOM Cotton operates through a network of principal offices in various key international locations, enabling the organisation to remain globally well positioned. Evidence of the Group's vertical structure is shown in the ownership and operation of cotton gins, warehouses, seed crushing plants, farming enterprises and processing operations worldwide - each working closely with the group's respective commodity marketing divisions. ECOM Commodities, in line with its parent company, is focused on vertical integration in order to seek investment in profitable business enterprises and thereby partner cotton industry participants at all levels. We are committed to working with Australian cotton producers as a global partner in order to provide sound market risk management in the pursuit of maximum financial returns. ECOM Commodities operates in two key locations, Moree and Sydney. This enables us to be well positioned for providing Australian cotton growers with maximum levels of service, from point of origin right through to destination. ECOM supplies to its customers throughout the world with an extensive and comprehensive range of up to the minute market data covering every aspect of the world cotton industry. This service is made available to every producer working with Ecom, as part of our commitment to maximising efficiencies, for ourselves as well as for our clients. Delivering effective market knowledge is an integral component of the Ecom ethos: "A tradition of service, from 'Field to Mill'".